Pemex oil jobs in Mexico and Huston, TX. Offshore oil rig openings. The vision of experts is both promising and trust that Congress shall make appropriate changes to bring the best dots in each of the three reforms that are under discussion and that Mexico will become a very interesting country for the number of oil jobs that will be generated, "Mexico will be an exciting place to do business, to invest and create jobs," says Mario Gabriel Budebo. As amount of oil sector jobs will increase - offshore oil rig jobs will be available in greater extent. the Mexican giant - "Pemex is not a company, is a decentralized body that is divided into four areas: Exploration and Production, Refining, Gas and Petrochemicals and Pemex International is dedicated to market the Mexican oil abroad, mainly in Houston," says Miguel Angel Toro. It is noteworthy that Pemex currently has employees 153 000; not counting indirect jobs generated and that it is estimated to amount to half a million oil jobs. Also, Pemex produced 2 million 548 million barrels a day for 2012 and 6000 385 million cubic feet of natural gas a day, in the same period; this meant that, last year, Pemex had total revenues of one trillion 647 billion pesos, its operating performance was 905 billion pesos and investment totaled 311 billion pesos that is equals to 20 billion U.S. dollars. Finally, it is noteworthy that the Energy Reform focuses not only on oil and natural gas, as there are sections on renewable energy, electricity and models of clean energy generation, so we must remain vigilant and see how develops the discussion in the chambers of deputies and senators of the Mexican legislature. Offshore oil rig looks like small dimensions town, with a number of people that depending on size of instalation are around the 150-400, these offshore oil exploration and drilling rigs have numerous jobs: welders, electricians, painters, waiters, launderers, cooks, computer programmers, engineers, divers, roustabouts, etc. Ignorance of offshore oil sector and the oscillation of the oil workers generates a great demand for various professionals. On oil and gas rigs can work both on land and at sea, according to the agreement the salaries of workers in the sector depending on the type of job being performed, are approximately between 4,800 € to 15,000 € per month. These salaries are usually paid in US dollars and fluctuate depending on what company is hiring and the oil region. The work generally consists of 10 hours rest 14 hours, alternating 45 business days on the offshore oil rig and 15 days off (by companies). There are some companies where the system is 14 working days working, at 10 or 12 hours a day, and another 14 days off (vacation). Contract periods usually lasts about 2-5 years with an initial period of six months. 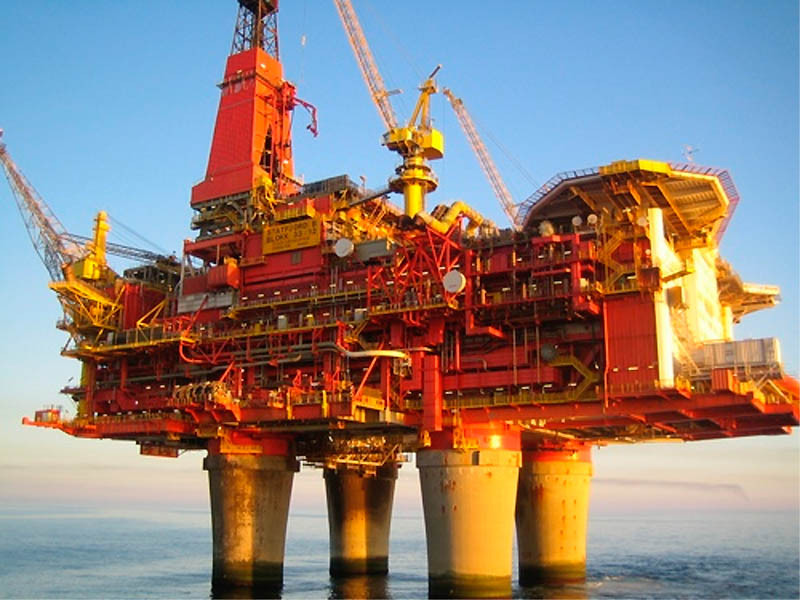 The life of offshore oil rig worker is hard and strict, due to isolation, hostile environment, heat and cold, etc. However, the time can be used in great and complete video libraries, gym, sauna, video games, Internet and modern telephony systems and satellite TV. Once incorporated, the employee is provided with what is necessary to ensure a safe and comfortable stay. All expenses are paid by the company: meals, accommodation and travel to and from home. Laundryman, Deckhands, General labor, Manual labor, Galley hand, Floorhand, Kitchen cleaner, Utility hand, Rigger, Roustabout, Steward, Waiter, Greenhand, Dishwasher, Kitchen helper, Greenhorn, Roughneck.